Class: Type 1 "Human Torpedo"
Range: 14 miles at top speed of 35 MPH. In February of 1944 the Imperial Japanese Navy approved the development of a new top-secret weapon called a Kaiten, a manned torpedo to be launched from a submarine. The first suicide Kaiten attack on American ships took place on November 20, 1944, and Kaiten attacks continued until the end of the war. Mother submarines carried between two and six kaiten, which the pilots would enter with the submarine surfaced when close to enemy vessels and ready to launch. At approximately 8300 yards or even closer, the Kaiten was launched and then cruised at periscope depth toward the target. At a distance of 550 yards, the pilot would submerge to 13 feet and lock his controls for the final attack run. The Imperial Japanese Navy expected that the human guidance would allow a second attack should the Kaiten miss on the first attack, however they were unstable and difficult to keep at depth making second runs difficult. Kaiten attacks resulted in the confirmed sinking only two American vessels with the loss of 162 American lives; several other American ships may have been damaged as well. In comparison, 145 kaiten pilots lost their lives, including 15 killed in training accidents. In addition to the Kaiten pilots, more than 600 men died as eight Imperial Japanese Navy submarines carrying Kaitens were sunk. 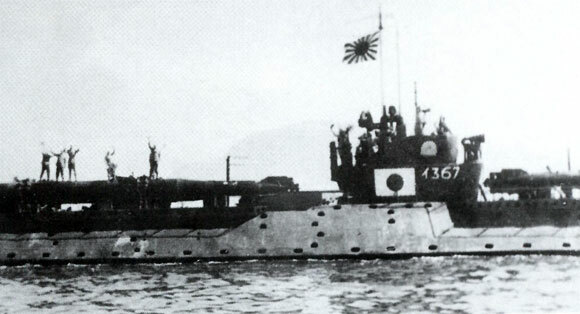 Kaitens of the same type aboard Japanese submarine I-367.